Bluetooth speakers are everywhere, but we’re yet to find anything that offers a sense of stereo. 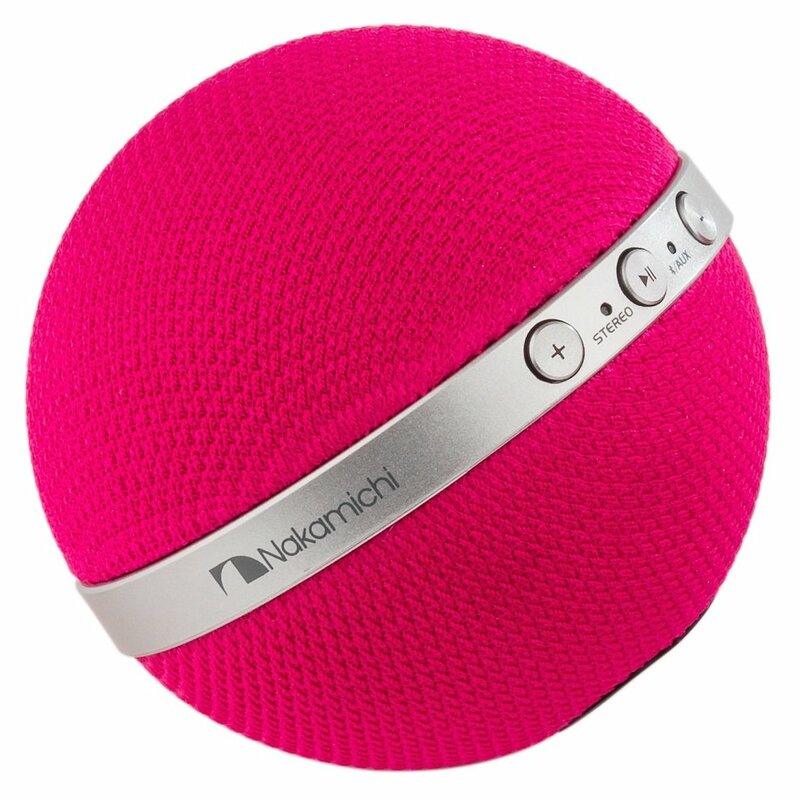 Available from Tesco in pink or black, the Nakamichi are designed to operate either solo or paired-up. Pairing with each other and a smartphone is pretty easy; the former is automatic, while a three-second press of the play/pause button and the master speaker begins to all kinds of beeping noises, something it does (a) when it’s switched-on, and (b) when it pairs with the slave speaker, too. We’re talking high-pitched beeps that are not nice to listen to. Incidentally, if you’ve not got Bluetooth, note that both master and slave have a 3.5mm aux in. That all changes with the Nakamichi in full swing, though there are massive caveats to its generally impressive stereo performance. If you’re a fan of gentle ballads, folk or anything that’s reliant on strong dialogue and subtle instrumentation, forget all about the Nakamichi, for they have a loud white noise in the background of everything they play. Treble detail isn’t the strongpoint here, with dialogue often sounding a little muffled. However, turn to something a bit more meaty and the Nakamichi deliver decent bass, high volumes and just enough detail. The stereo separation alone is marvellous from these two 2W speakers. Thoroughly portable as 274g, and with impressive battery life of up to eight hours each, its nevertheless a faff to charge-up each one (via microUSB). Musically, they’re not nearly as versatile as they should be.